The former Collingwood Technical School site in inner north Melbourne has been a place of creativity, collaboration and inspiration for more than 140 years. Now, a visionary project is set to transform the site into a thriving contemporary arts precinct. The art deco façade of the site is well known to locals, but behind those doors lie a long-neglected treasure. First opened in 1871 as the Collingwood School of Design and School of Art, the site was transformed into the Collingwood Technical School in 1921, later the Collingwood Technical College. Thousands of students were educated there, but in 2005 the school was closed and the Collingwood site was abandoned. For more than a decade, it has collected dust and fallen into disrepair. Collingwood Arts Precinct. Photo by Tom Ross. Creative Victoria took over management of the site in 2010 as part of the project to build a new home for Circus Oz, which now takes up approximately half of the former school grounds. 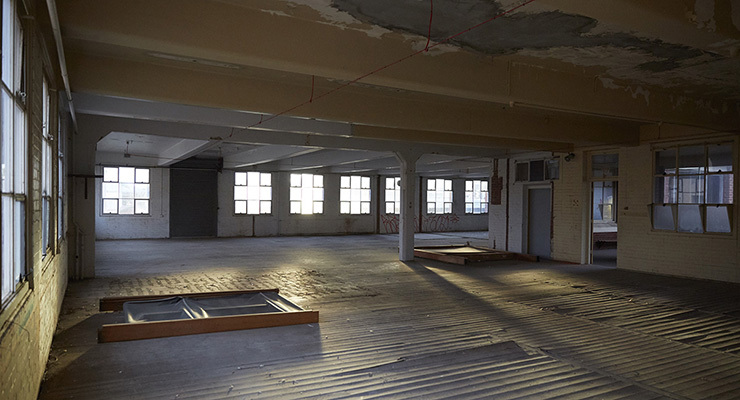 After various investigations – from architectural feasibility studies to economic modelling – it was determined that the best future use for the unoccupied portion of the site would be as a contemporary creative precinct - one that could operate independently and provide a home for small and medium creative organisations as well as artists and complementary businesses. "The vision is to take this amazing site and to create a precinct or a hub of creative activity which brings together all sorts of possibilities," says Marcus Westbury, CEO of the newly established Contemporary Arts Precincts Ltd (CAP). "A precinct is more than just a building or a cluster of buildings, it's about trying to make a whole that is greater than the sum of its parts." Westbury is inspired by the faded grandeur of the site, with its abundant natural light, sweeping views across the city and its proximity to the hustle and bustle of Smith Street. "The site is actually three different buildings and it has about five or six different entrances. There are ways of creating a site that has multiple entrance points and talks to different audiences, but brings them into a common site," he enthuses. "There's this great courtyard in the middle of the site which is just like an oasis, really, a little spot of quiet behind some very busy, mad streets." Westbury and the CAP board have modelled a future for the site inspired by international organisations including Artscape (Toronto), Acme Studios (London) and Artspace (US). But in Australia, CAP will be the first of its kind – a charitable social enterprise managing a vibrant, cross-disciplinary cultural precinct that provides secure customised space for the creative industries. "Part of the original vision for the site came from the observation that a lot of the creative community in Collingwood and inner northern Melbourne had been priced out of the area," Westbury explains. "Being able to provide some security for creative organisations and entities that might otherwise struggle to stay in that part of the city is important. Bringing together a diverse range of activities is important. 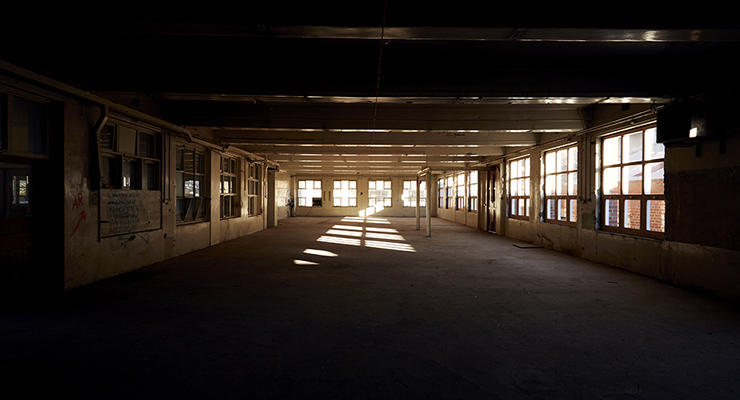 I also would like the precinct to embrace the life cycle of creativity, so not just a place for established organisations, but a place where people can start things, come together on short term projects or long term projects, providing flexibility for creative projects that don't even know what they are yet." CAP has raised more than $14 million dollars to ensure the resurrection and transformation of the Collingwood site. Over the past six months the site has already been given its first glimpse of new life. Restored to an inhabitable and atmospheric environment, CAP has played host to markets, concerts, art exhibitions, installations and local events sparking collaboration, inspiration and anticipation for the exciting future of the space.